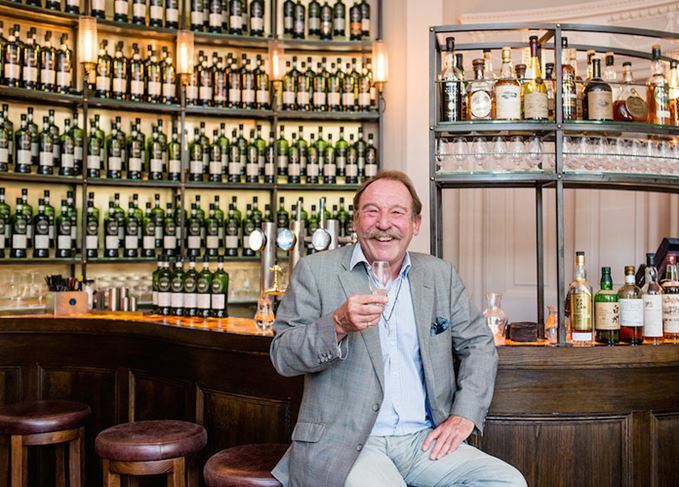 The Scotch Malt Whisky Society (SMWS) is marking its 35th anniversary with a series of 21 single cask bottlings selected by whisky writer Charlie MacLean. The 21 whiskies, all aged between eight and 29 years old, will go on sale to SMWS members in July. To ‘avoid confusion for people buying the bottles’, SMWS has declined to provide further information about the remaining 13 bottles in the series. Non-members will be able to sample the whiskies at two whisky tasting events in Edinburgh and London, held in collaboration with MacLean. Tickets are available for £125 and include membership to the Society. The Edinburgh event, on Tuesday 3 July, features a tasting of MacLean’s selections alongside a screening of Ken Loach film The Angel’s Share, while the London event on 4 July is a tasting in the crypt of St Etheldreda’s Church on Ely Place. The SMWS was founded in 1983 and has become known for bottling single cask single malts as well as other spirits including rum, Cognac and Armagnac. MacLean first joined the SMWS in the early 1980s, and became a chair of its tasting panel in 1992. In 2016 he created a selection of non-Society bottlings from auction and his own collection for the Society’s Kaleidoscope bar in Edinburgh.